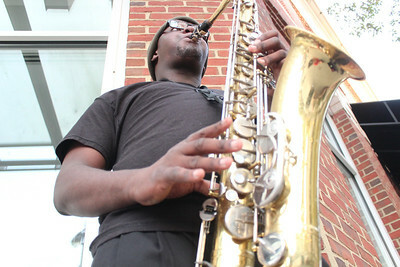 Jesse Rainey III plays the saxophone in front of the Ackland Museum gift shop on Franklin Street. He is a part of a musical group called the "Sagging Naturals" that play at the Franklin Hotel. 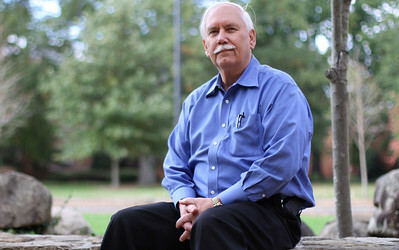 "I play on Franklin Street to provide free music and get our group noticed," says Rainey. 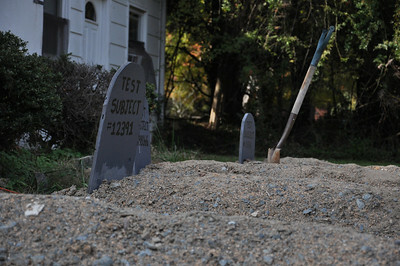 Freshly dug graves greet visitors to the zombie-themed haunted house to benefit Internationalist Books and the Weaver Community Housing Association. "There are critics who would say that raising the dead is dangerous somehow," says Ichabod Yo, an organizer of the haunted house. This tour aims to show the public just how wrong these critics are. 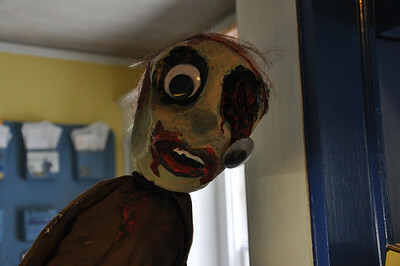 Marshall Richardson, left, and Tallis Donnelly prepare fake guts for Thursday's haunted house. It is a fundraiser to benefit Internationalist Books and the Weaver Community Housing Association. 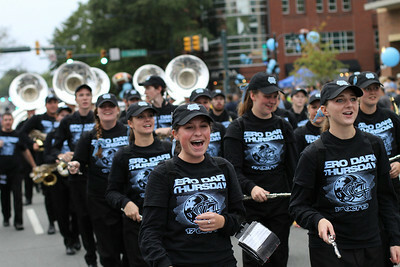 "Those two groups, I just couldn't imagine a Chapel Hill without them," says Ichabod Yo, an organizer of the haunted house. 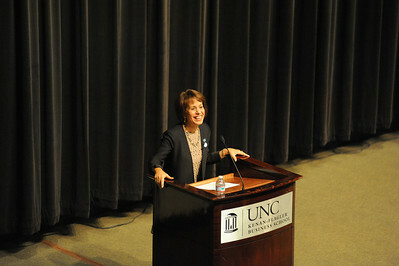 Mary Junck spoke in Carroll hall to a room of journalism students. 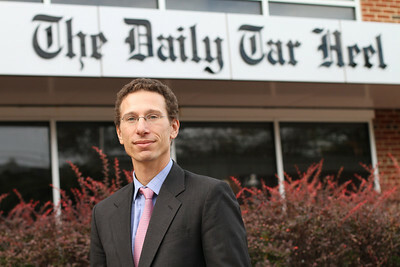 Junck is the chairman of the Board of Directors at The Associated Press, as well as the President and CEO of Lee Enterprises and a graduate of the masters program at the UNC School of Journalsm. 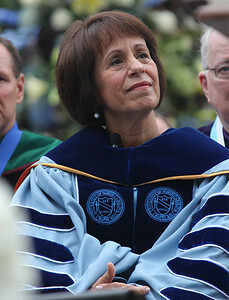 She spoke about the role of women in journalism. 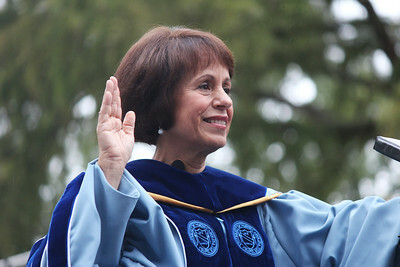 Chancellor Carol L. Folt spoke about the future of UNC and her plans to make changes as a part of Dean's Speaker Series at Koury Auditorium at the UNC Kenan-Flagler Business School on Monday night. 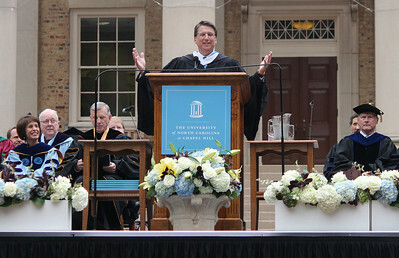 "UNC may be ground zero for the future of higher education in America," said Folt. 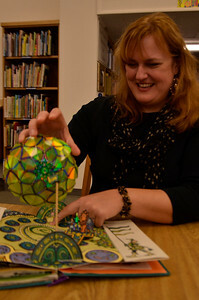 Christy Cherney admires one of the elaborate and detailed books in the library's pop-up collection. There will be an exhibition and event in Wilson Library today beginning at 5pm. Three pop-up book collectors will come to show their collections alongside the library's own. 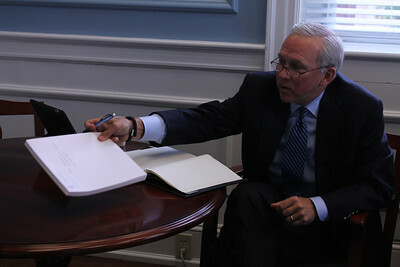 David Routh, Vice Chancellor for Development, discusses his plans for the University's upcoming fundraising campaign. 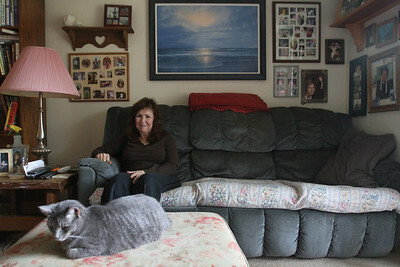 Dawn Lancaster has been living in an apartment in Chapel Hill for 6 years, but she will have to move next summer because the complex will no longer accept her section 8 housing vouchers. She said, "I don't like to move, but now I have to move. I thought I'd get to stay here, you know. It was a shock when they sent me the papers." 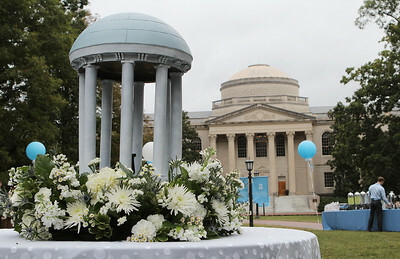 UNC played Boston College on October 26th. A Ban Against Neglect had a booth at the Raleigh Convention Center Shopping Spree event held by the Junior League of Raleigh on Saturday. 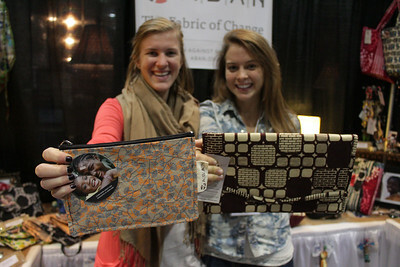 ABAN started out as a class project during co-founder Callie Brauel's study abroad trip in Ghana in 2008. She and the other co-founders were discouraged by the amount of trash they found in the area so they started a recycling program, especially for the plastic water packets the villagers used. 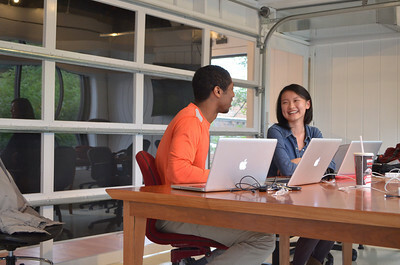 Their accessory line started with coin purses made out of those plastic bags and has grown into a much larger venture now, with teams of seamstresses working on their new line of bags and jewelry (made out of recycled glass). They started employing seamstresses when they realized that doing the production themselves was taking away from the time the teen moms they were helping had for their studies. The main goal is to use the profits from these accessories to help pay for education for the women enrolled in their program. 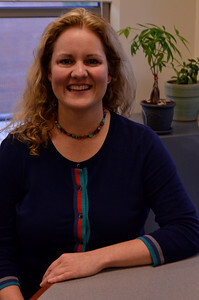 Callie and another study abroad student were working with teen moms during the initial recycling programs. "Seeing the situations these girls were going through, that they didn't really have any hope or future, in girls who were our age or younger, it just didn't seem fair." 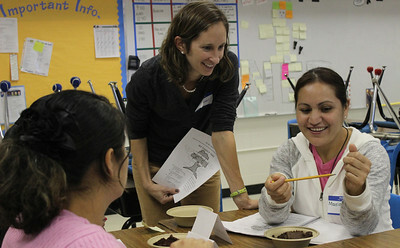 "Just even seeing that we've helped one woman is really remarkable." 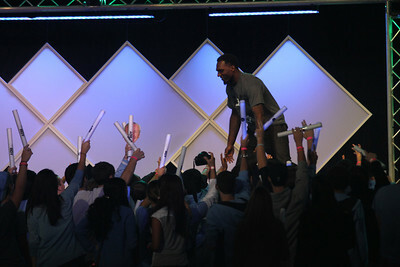 On October 25, Late Night With Roy was held in the Dean Dome. There were skits modeled after Jimmy Fallon, Miley Cyrus references, and a tie 50-50 Blue and White game. 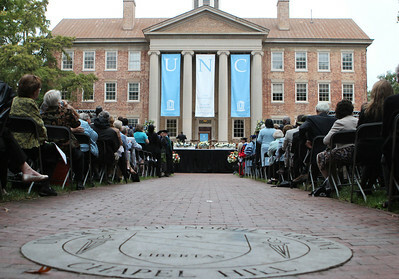 Jim Bullock, a member of the graduating class in the Writing for the Screen and Stage Program at UNC, wrote "When the Bell Rights, You Shut the **** Up," a one-act play that was part of "Long Story Shorts." This was performed at the Center for Dramatic Art. 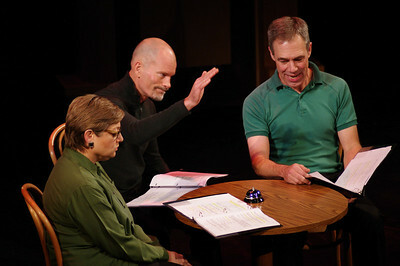 The actors present are Elisabeth Lewis Corley (left), John Paul Middlesworth (right), and Gren Hohn (middle). 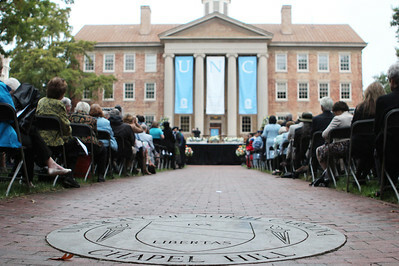 Some UNC students are opening a store for Thrill City, their brand that they have started. They'll sell their apparel and feature other brands in the area. 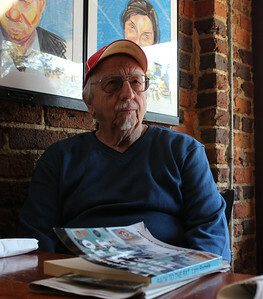 Larry Rochelle, author of "Back To the Rat," visits Spanky's restaurant on East Franklin Street where the action takes place in the book. 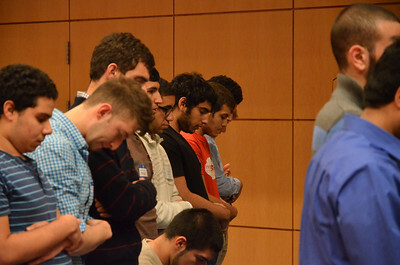 1023 - Muslim Students Fast-A-Thon - Muslim students break their Ramadan fast at 6:33pm on October 23rd and raise money to help end the Syrian conflict. They ate prepared food in the Great Hall and watched videos highlighting the human cost of the Civil War. 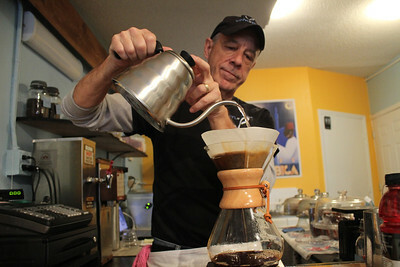 Jay Reeves owner and manager of Vinyl Perk, which opened October 18h, makes coffee through a process called pouring over. 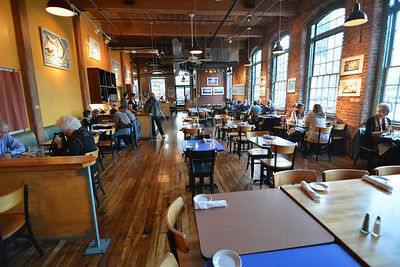 "This way of making coffee has been around for about 60 years and uses no machines. Making coffee this way takes away the bitterness and you can really taste the coffee bean when drinking it." Nick Weiler, a sophomore on the football team, shows his support for Domestic Violence Awareness month by participating in the 7th annual "Carolina Men Care" event. 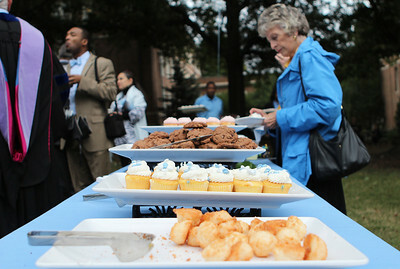 This is when UNC athletes pair up with BEACON Child and Family Program at the UNC Children's Hospital to spread awareness about domestic violence and sexual assault. 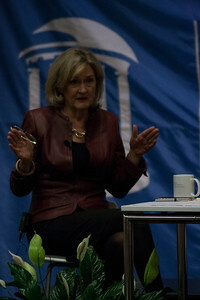 AP foreign correspondant Thanassis Cambanis speaks at the UNC School of Journalism and Mass Communication on Monday evening. 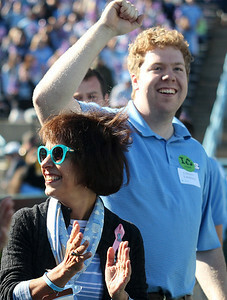 He is a formed editor-in-chief of The Daily Tar Heel and spoke at the office before going to the journalism school. 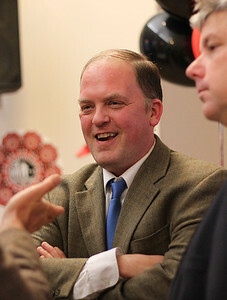 John Wadsworth, with Bubba. 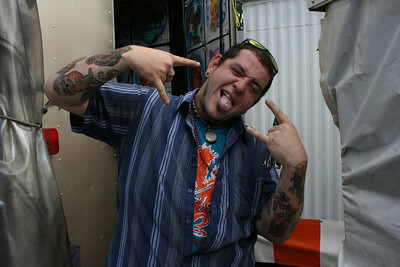 John is from Myakka City, Fla. He cares for Robby the rat (2 years old) & Bubba the pig (5 years). 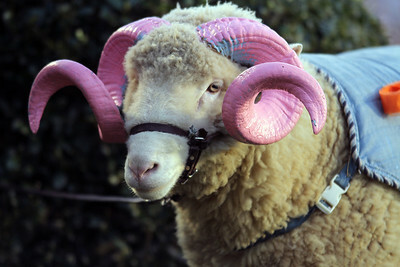 They live with him year round when he's not traveling with the Fair. 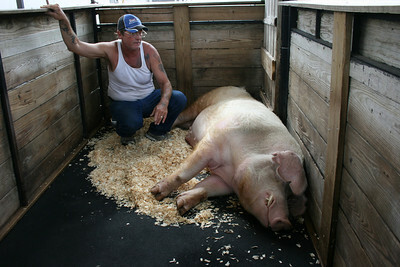 Johnny Todd has been a ride supervisor at the NC State Fair for 2 years. 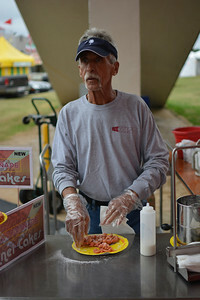 Johnny is originally from Orlando, Fla.
Doris Drury's donut stand at the NC State Fair in Raleigh, NC. 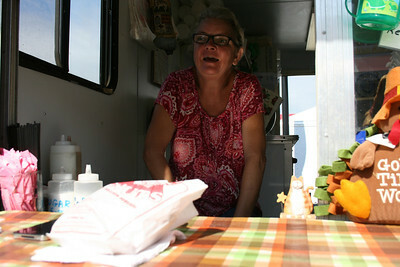 Doris has been selling her trademark mini-doughnuts at the fair for 33 years. 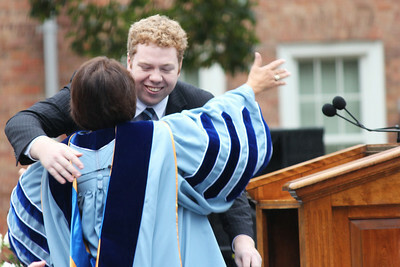 Michael Peek is from Myrtle Beach, SC. 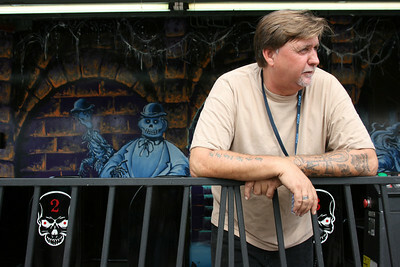 He runs the Henna tattoo stand at the NC State Fair. 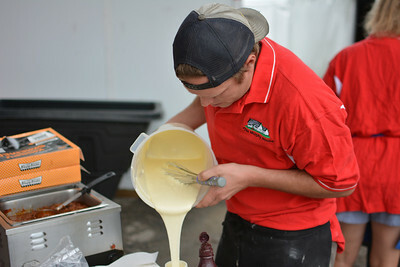 Michael travels the country running Henna stands at various Fairs and music festivals. Hampton Inn & Suites General Manager Kevin Rooney talks with Katie Henning, Sales Manager, while Jack Bowen, Front Desk Agent, takes calls. 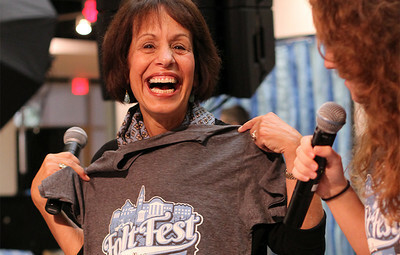 Folt Fest was held Sunday, October 13th from 4-6pm in the Student Union. 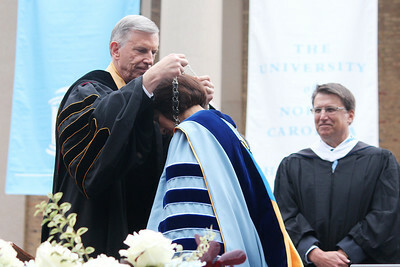 The installation ceremony of UNC's eleventh chancellor, Carol Folt, was held on University Day, October 12. 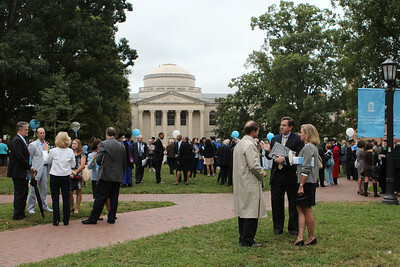 The ceremony took place outside of South Building at 2 pm and a reception was held in Polk Place after the ceremony.